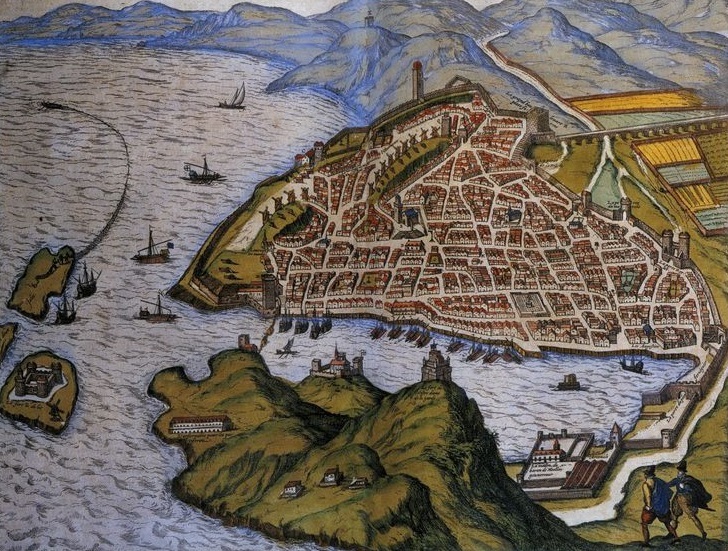 Marsilikos roughly corresponds to our medieval Marseille. It has a harbor with a citadel overlooking the port, an infirmary, various districts for temples, night court, nobles and commoners. And of course, there is the Ducal palace, the Dome of the Lady, where the Eisandine Council comes together to discuss Eisandine matters, mostly. Marsilikos was built by the Hellenes, so it predates Elua and his Companions by several centuries. Eisheth took a liking to the city and it lies within her province of Eisande. Because of this, many of the finest chirurgeons come from the city. The ruler of Marsilikos is always female because Eisheth was female. No one has succeeded in breaking this tradition. She is known as the Lady of Marsilikos. If there are no daughters, the heir's wife will be the Lady of Marsilikos and will share power with him. Marsilikos is ruled by House Mereliot. During the series, Roxanne de Mereliot is the Lady of Marsilikos. The seat of House Mereliot is the Dome of the Lady. It is an impressive structure of white marble with a large golden dome surrounded by minarets. There is a legend that the golden dome can be seen far out to sea and has saved the lives of sailors during storms. Marsilikos is the home port of the Royal Fleet, though they may occasionally dock elsewhere in Terre d'Ange. The Night Court of Marsilikos consists of a number of salons located next to the Place des Mains. It offers entertainment through courtesans, in the variations found at Mont Nuit in Elua. The theatre in the Noble District has reopened a few years ago, now under the leadership of the great vocal talent, Clémentine nó Trevalion, and is now known as the Opera de Marsilikos. Also, this is where you'll find the official residences of noble families from all over Terre d'Ange. Eisandine families are located directly at the central plaza, whereas nobles of other provinces (l'Agnace, Azzalle, Camlach, Kusheth, Namarre, Siovale) can be found in their respective avenues. This avenue along the northern coastline has a number of houses, of local merchants and lower nobility. Les Tanières has a number of rooms for rent. You can check out our grid map here.